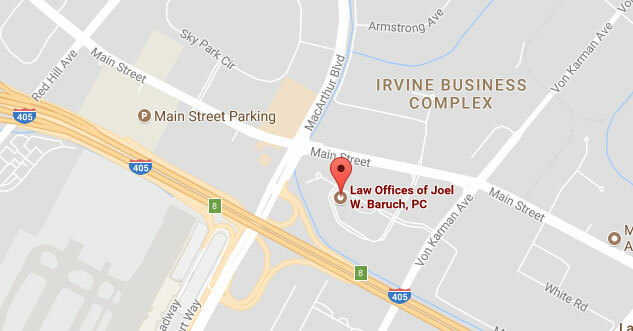 The experienced employment law attorneys at the Law Offices of Joel W. Baruch, P.C., bring decades of combined experience to the legal needs of Southern California employees whose rights have been violated by discrimination in the workplace. We listen carefully to our clients’ sides of the story, conduct an in-depth investigation of a discrimination claim and negotiate with the employer to produce a fair resolution. If discussions are not productive, we are fully prepared to defend your interests in court. And throughout the legal process, you can count on us for attentive personal service that gives you strength during difficult times. Were you wrongfully terminated from your job for witnessing and reporting a case of discrimination or sexual harassment? Were you the target of age discrimination? Were you retaliated against because of your request for FMLA (Family and Medical Leave Act) time off the job? We can be your strong voice in court if necessary. Your free initial consultation with our skilled employment law attorneys is as close as your phone. Call 949-864-9662 today to reach us from wherever you are in Orange County and throughout Southern California.